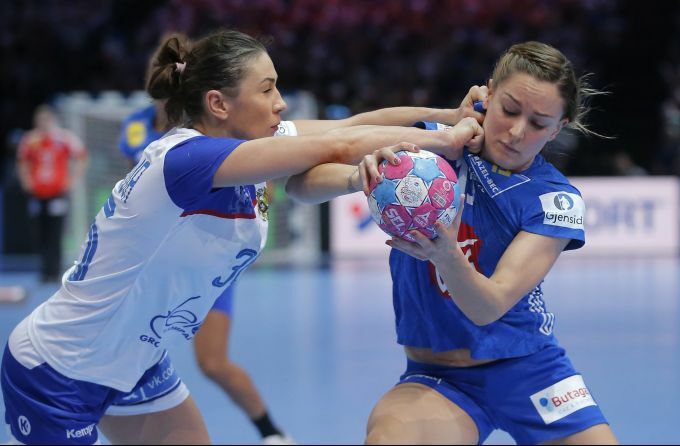 Paris: Russia's Iuliia Managarova, left, grabs France's Manon Houette by the shirt during the Women's European Handball Championship final match between Russia and France in Paris, Sunday, Dec. 16, 2018. 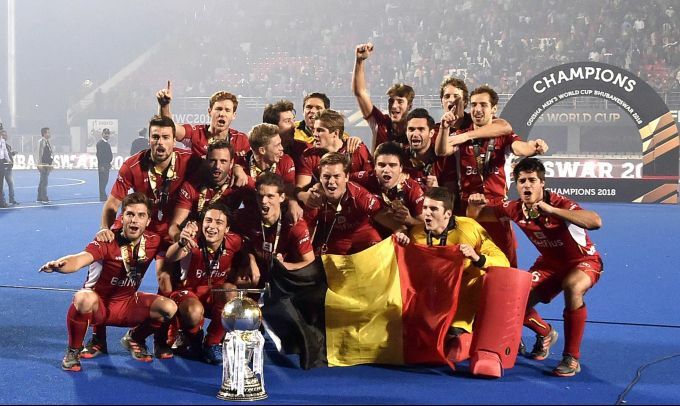 Bhubaneswar: Belgium players celebrate with wining trophy during the Men's Hockey World Cup 2018, in Bhubaneswar, Sunday, Dec. 16, 2018. New Delhi: Bollywood actors Shahrukh Khan and Anushka Sharma during the promotion of their film movie 'Zero' in New Delhi, Sunday, Dec. 16, 2018. 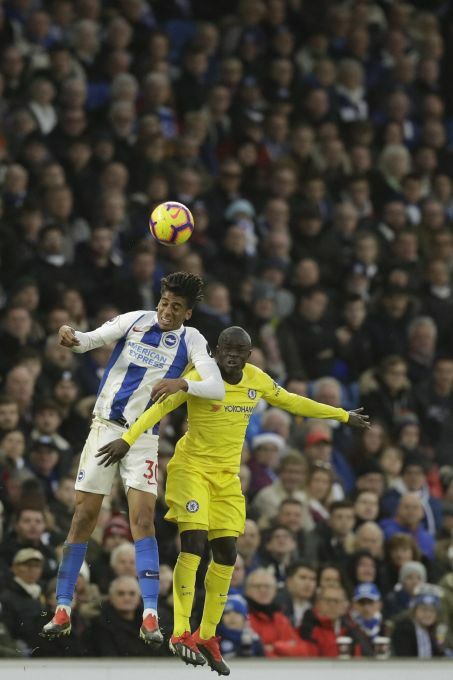 Brighton: Brighton's Bernardo, left, and Chelsea's N'Golo Kante jump for the ball during the English Premier League soccer match between Brighton and Hove Albion and Chelsea at the Amex Stadium in Brighton, England, Sunday, Dec. 16, 2018. 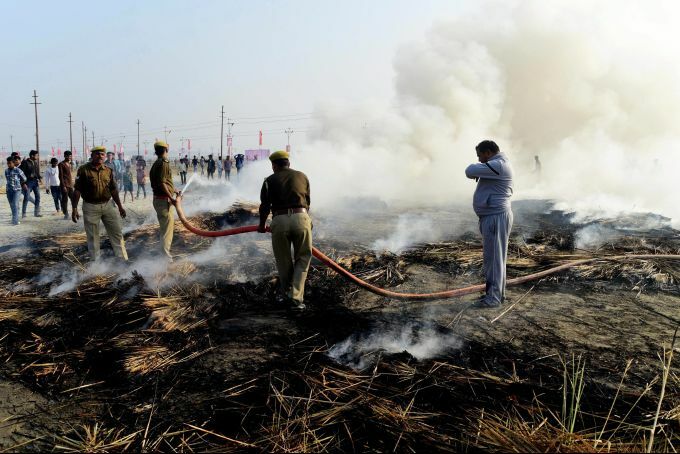 Allahabad: Clouds of smoke rises from the ground after a fire broke out in the dried up grass near a ghat at Sangam, in Allahabad, Dec. 16, 2018. Patiala: Supporter of various organisations during the 'Insaaf Rally' at Mehmadpur village in Patiala, Sunday, Dec.16, 2018. 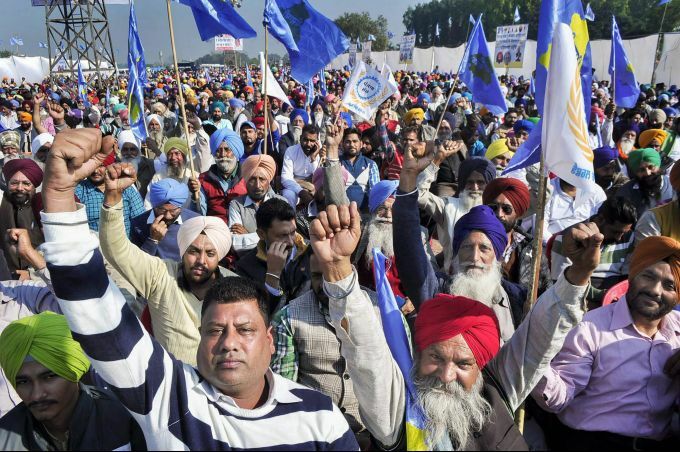 The nine-day ‘Insaaf March’ that covered 54 villages and a distance of around 180 km started from Takht Damdama Sahib of Talwandi Sabo and culminated at village Mehmadpur today.